My Little Pony has made a comeback in a big way and let me tell you around these parts, I have more ponies than forks in my drawer! It is insane how much Destini loves these little ponies and now with the Equestria girls we are acquiring more and more of those. Leave it to Hasbro to have one of the best little thing for girls going now, they are always finding ways for kids to explore and learn. 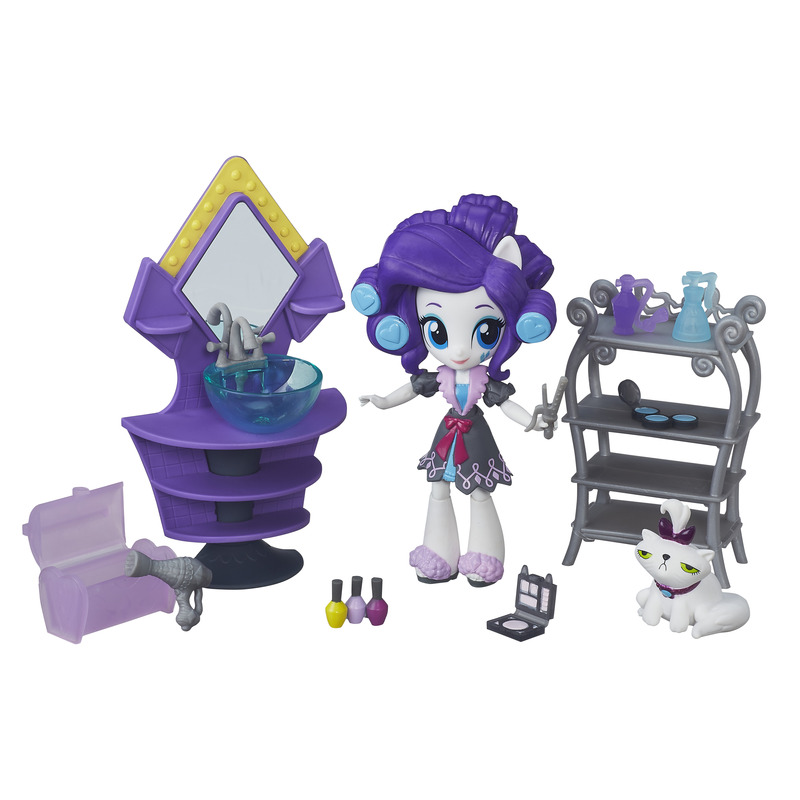 The spring season is here and just in time for camping trips and slumber parties, Hasbro is introducing these great new My Little Pony Equestria Girls Minis Story Packs, you can get glammed up with Rarity Slumber Party Beauty set, or even some late night fun with the Applejack Slumber Party Games set. Applejack is a favorite of Destini’s we seem to have her in every form possible, even a shirt and pajamas. Also be looking for the Fluttershy Cafeteria in the fall. All of these playsets are so cool and they have all of the accessories you would need for you to have a great time playing with the Mini figures. I love listening to Destini playing with her pony friends, she tells stories and has them travel places its great to listen too. One of the things that I love about My Little Pony in general is I think it is more of a collectible toy similar to little cars for boys. I know boys can like the ponies and girls can like the cars, but I see time and again her playing with her friends that also have their pony collections. It is a great way for them to connect and collect things with their friends. everyone at preschool has their favorite and of course none of them are the same! I am happy to see these great new toys to add to the collection of the My Little Pony family!